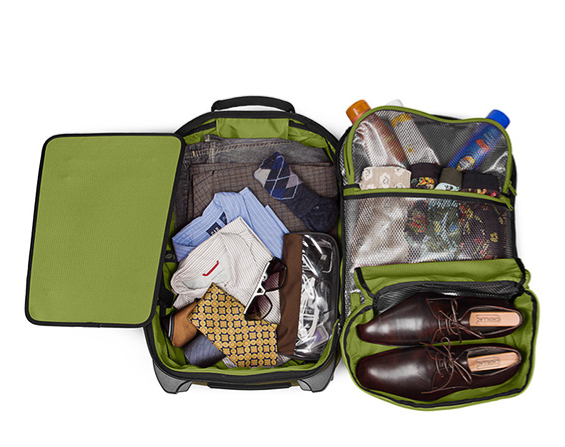 Gone are the days of huge suitcases weighing 5 tons. Gone are the days of checked bags. Now when I travel I want to carry everything on so I don’t have to wait for it once I get where I am going and I don’t have to pay extra. I currently have a bag which mostly fits in the overhead compartment, it doesn’t fit wheels first so it has to go sideways and that means it takes up extra room. Honestly, there is nothing about this bag that I love so when I saw the Checkpoint by Timbuk2 over at notcot, I wanted to see more. Lots of exterior pockets, lots of interior pockets, easy access pockets to help me get through security, and fabulous colors which make it stand out. I love it! The price tag is a little hefty at $250, but this could be the bag I carry from now on so why not spend a little more. So now the hard part… brown and red, or green?